U.S. heating oil futures slid on Tuesday Oct 30th, after several days of gains where traders built in a risk premium in anticipation of Hurricane Sandy. The pre Hurricane Sandy gains were wiped out as several key East Coast refineries and pipelines restored operations and traders bet that the demand for fuel would be suppressed in the short term. However, on the flip side and looking to the medium term, US heating oil supply is at historically low levels with some pundits are predicting that the low levels of supply will exert upward pressures on heating oil prices, especially as the temperatures drop. As the nights draw in and the temperature drops, the attentions of the 1.5 million British heating oil users turn to stocking up for winter. But with prices already reaching record levels this year, sourcing and buying cheap heating oil is becoming a more painful process. Here, we offer advice on how to get cheap heating oil and ensure that you stay warm this winter without paying over the odds. When the weather’s warm, the flowers are out and the kids off school, the last thing on your mind is stocking up on heating oil. However this is possibly the best time of year to buy heating oil. This is due to the age old economic model of supply and demand. When the demand for heating oil is low, so is its price and vice versa. The demand for heating oil is at its greatest during the cold, winter months and this is when you’ll pay most. Therefore, buying between June and August is historically the best time of year to get the cheapest prices from heating oil suppliers. However when buying during the warmer months, it’s important to make sure that your heating oil tank has been serviced first. An efficient heating oil tank will save you money in the long-term so it’s worth any outlay for its maintenance. In order to get a cheap heating oil prices from suppliers, buying in bulk is likely to be your best bet. The smallest quantity that you can buy from most suppliers is 500 litres, primarily because of the associated costs of delivering the fuel to you. This means that if you’re buying at these levels, you’ll be paying the highest delivery costs. If you purchase over 1,000 litres in one order you’ll begin saving and bringing that all important price per litre down. When phoning a fuel supplier to book in your order, it’s worth asking them at what level the price begins to drop. If the price drops by one pence between 500 and 2,000 litres, you’ll save yourself £20 on your order. As a commodity, the price of heating oil isn’t fixed and so will vary from supplier to supplier. Heating oil prices change depending on a number of factors, including the cost of a barrel of oil, the weather and of course demand. Therefore, sticking with the company you used last isn’t the smartest way to get cheap heating oil. Ringing around various suppliers will give you a better idea of the market and enable you to find your cheapest price. 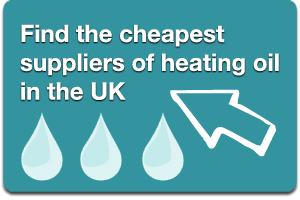 However ringing around to find your cheapest heating oil supplier can be a pain, and where do you start? The answer lies in fuel comparison websites. There are a number of websites that will offer the comparison of various fuels, like heating oil, kerosene and boiler juice and there are a number of subtle differences between them. Some are owned by large fuel suppliers, listing prices from companies that they own. Others earn their money from taking a cut of each sale made from their site. This means that they aren’t truly independent and not necessarily set up with consumers in mind. 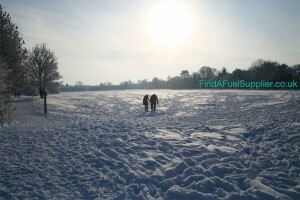 However there is one fuel comparison website that is different. FindAFuelSupplier.co.uk prides itself on its independent listings of fuel suppliers and their prices. It doesn’t take a cut of any sale made and has no links to any fuel supplier, making it the savvy consumers choice when comparing fuel prices. Last month, Bord na Món, the semi-state company responsible for the harvesting of peat in Ireland reported that the country was witness to the worst peat harvest returns in 65 years. The reason? The 2.5 times average rainfall between July and August that contributed to a loss of 2.5million tonnes of peat, and a harvest of just 37% of what was expected. The harvest (or lack thereof) is not expected to significantly impact upon the price of peat briquettes, as stock levels are high, and customer demand is expected to be met. In a statement, the company wrote that: “notwithstanding the difficulties presented by the weather, Bord na Móna is in a position to confirm it has taken steps to ensure it has adequate stocks of peat to supply its customers”.